Classic Isle of Palms Beach house centrally located on Carolina Blvd. One block to the beach and five blocks to "Front Beach" Isle of Palms shopping district. This 3 Bedroom, 2 Bath home is a perfect place for you, friends, and your family to enjoy a quiet and relaxing beach vacation. 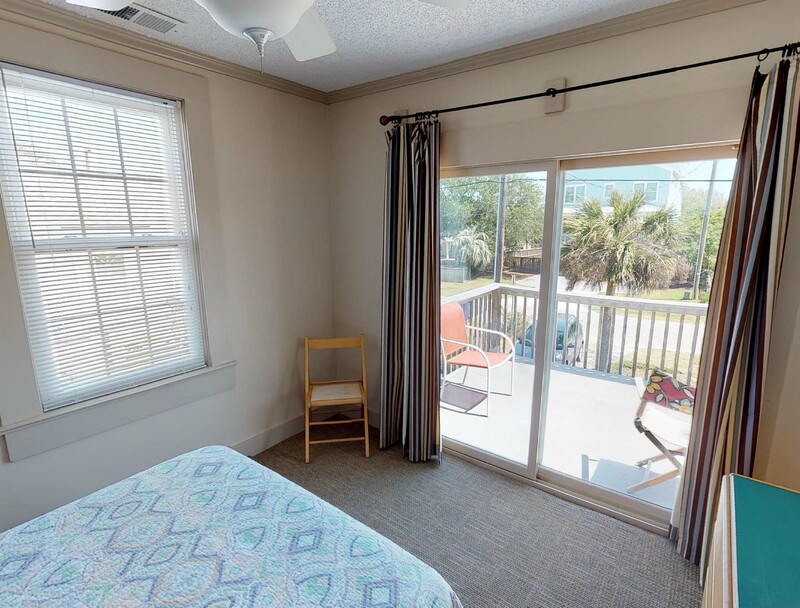 When it is time to play, you can walk or ride bikes to the beach, enjoy the shops and restaurants at the front beach business area of the island or travel across the scenic IOP connector or Ben Sawyer Drawbridge to visit Mount Pleasant or Downtown Charleston. 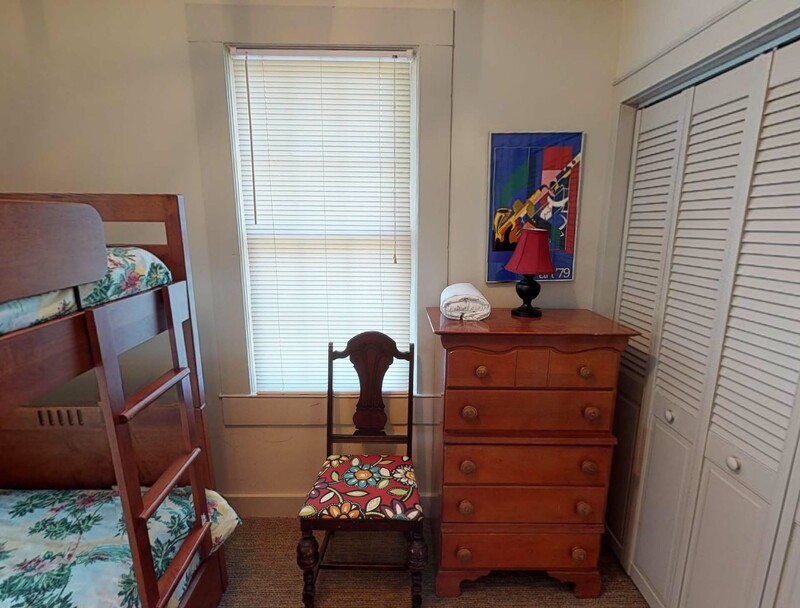 Features include Gas Grill, screened porch with room for dining (picnic table), and private yard. This home is available for monthly winter rentals October through March! Please contact us if you are interested! Great Stay. Great Customer Service. Ran out of gas for the grill. Maintenance was out on another call, so Mike in the office ran one right over. Great, I ll be back in November. The house is a little older, but in good condition. Check-in was easy and the home was clean. Overall great value for the location. Cute traditional beach bungalow. Air conditioning doesn't work well upstairs in the bedrooms so got a bit muggy and hot. Really musty smelling which didn't improve with time. Downstairs air worked great. Kitchen very old but functioned for what we needed. Linens were old and my pillow case had blood stains on it so would not use and had to get my own. Would not rent again due to my sensitivity to the musty smell but was happy to have found a place for the eclipse. If you don't mind a bit older place that is musty then this is a great location. 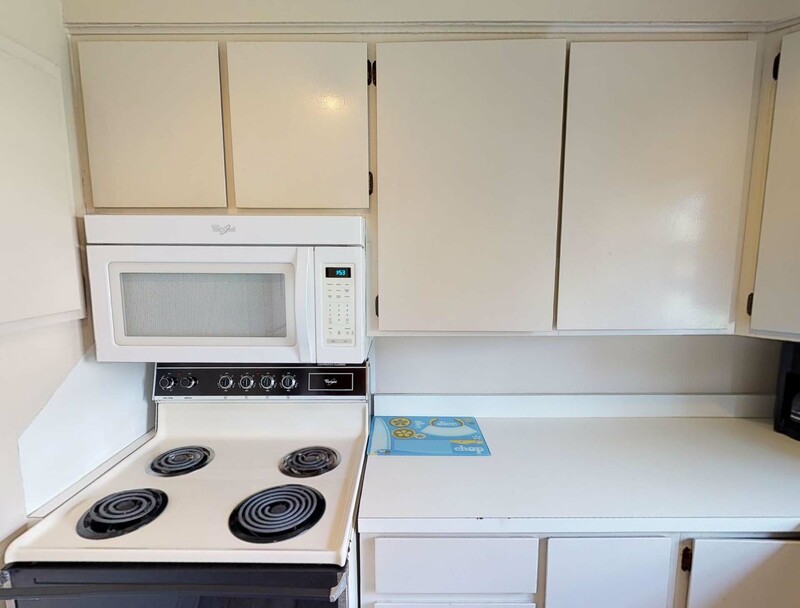 I will recommend as long as the renter is aware of the condition. All the silverware and some dishes were really dirty and so we purchased our own disposable items. Vent in floor of the kitchen shifted when stood on and we had to be careful of it. One window air conditioner upstairs and a ceiling fan in the other bedroom but the bunk room had no air or fan, was really muggy and hot. Easy walk to the beach. Outside shower was great for cleaning up before going inside. Washer and Dryer worked just fine. Not newer but functional. Both bathrooms were upgraded and comfortable. Great price and the beach can't be beat. Nice location, but needs lots of maint, cleaning, repairs. The keys only worked the back door. Back porch light broken. Housekeeping seemed to only "spot clean" house. Edges of floor and carpeting had lots of dust, dander and dead bugs. Also live bug problem. Mold on vents in rooms. Tissues packed around upstairs window unit instead of correct sealing. Could be nice house, but housekeeping/maintenance is below average. Excellent location and comfortable stay. It was relaxing, comfortable and full of fun with family and friends. The two issues I would like improvement are - the door locks and mosquitoes. This is a great house. 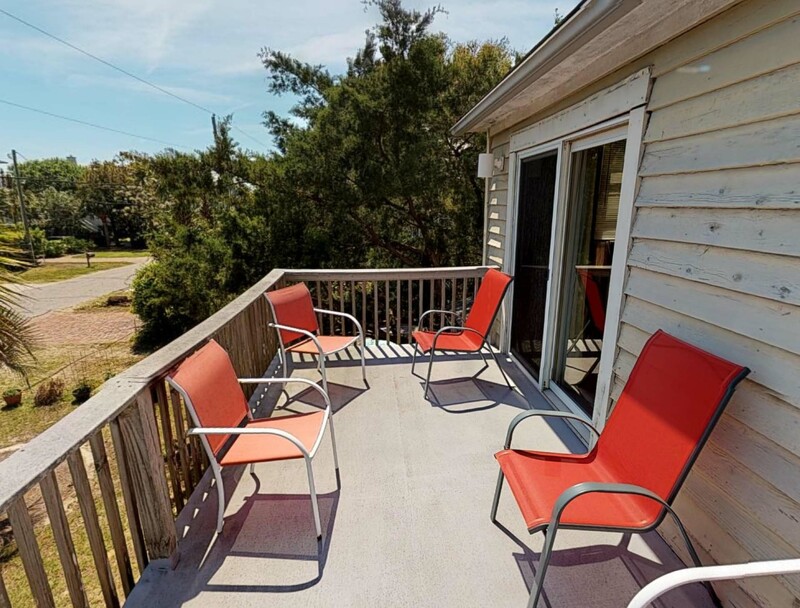 There is a short walk to the beach and a nice screened porch for rest and relaxation. 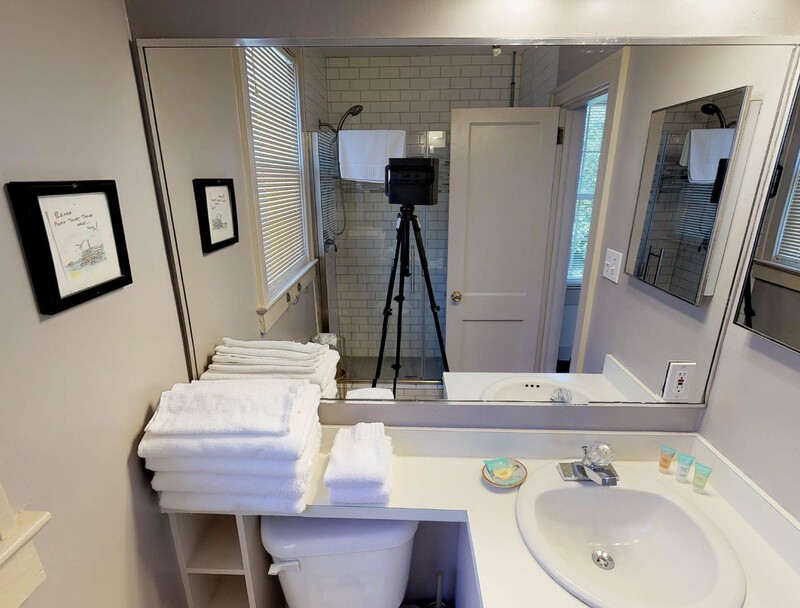 The property has bathrooms on both floors,washer and dryer and a well-equipped kitchen. It is perfect for couples or a small family with a bunk room and two other bedrooms with queen beds. I had difficulty with the lock upon arrival and response from the mgt. group was immediate. Very happy with communication and ease of rental. Friendly and efficient. The house was fantastic. Perfect location to everything. The only problem we had was they only left 2 trash bags for 4 days and 3 nights. Also the yard could have used some TLC. The kids really couldn't play out in it because of all the prickers. We had a wonderful time while visiting family in mt pleasant last weekend. Our rental was clean and well stocked with linens and towels. Location was great. Short walk to center of town and even shorter to beach. Only hiccups was the dryer didnt work and the washer, although it work, washed cloths poorly. A couplr of more blankets would have been appreciated since it was cool at night. Lastly it was musty smelling but we aired it out well and that helped alot. I would definitely rent though this site again. Nice place 2 bathrooms 1 up and 1 downstairs. 3 bedrooms upstairs. 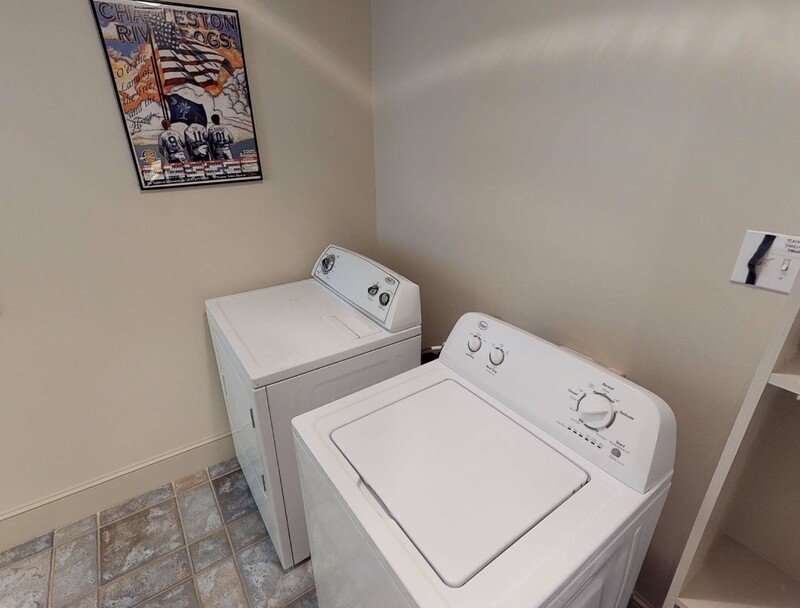 Washer/dryer grill full kitchen. Nice backyard deck and upstairs patio with screened in porch below. Has rooftop solar panels. Very short walk to the beach with friendly year around neighbor. Away from crowded pier and shops. Very enjoyable and clean. Great location and adorable house! This house is a short walk to the beach on a quiet street. 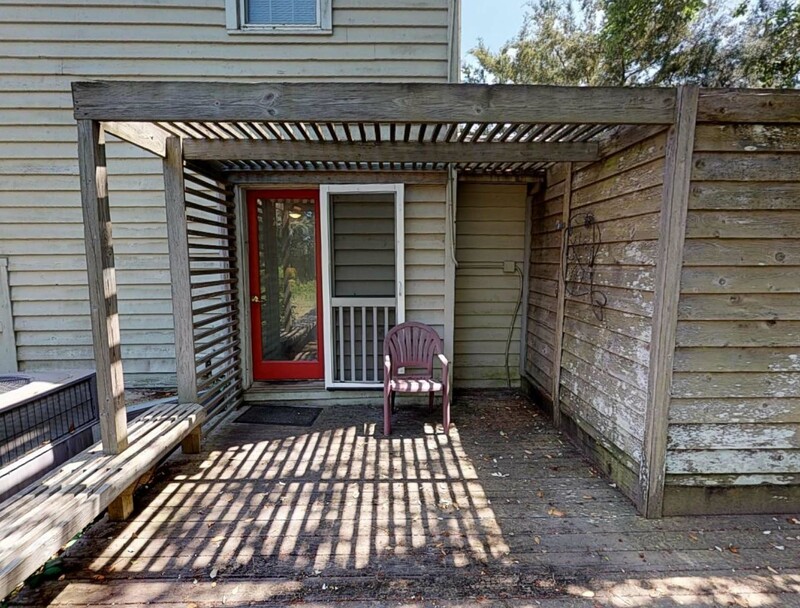 The screened front porch has a picnic table and comfortable seating. 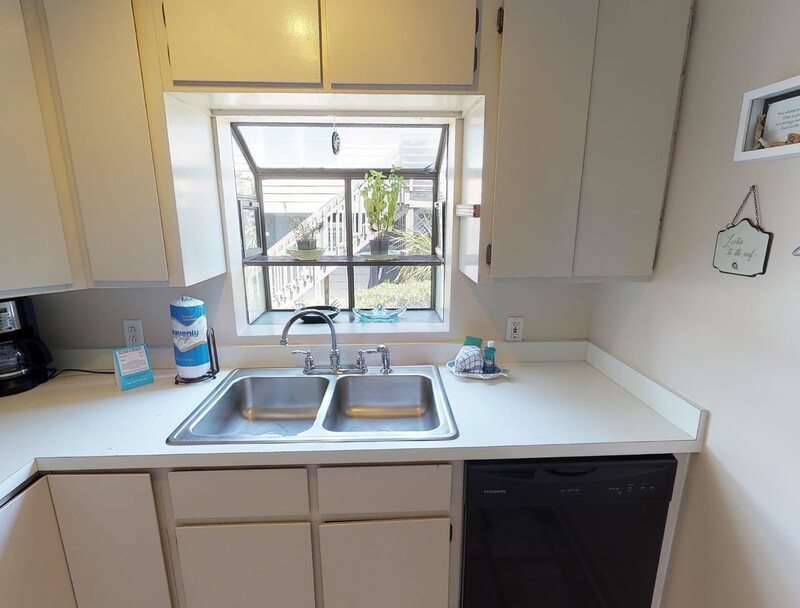 I enjoyed cooking in the small, but efficient kitchen. I bought locally caught fresh flounder at Harris Teeter. The beds were comfortable and everything I needed was there--no problems with Wi-Fi, lots of books, games, puzzles for rainy afternoons. I did not use the outdoor grill, top deck or back deck, but it was a great house and I have absolutely no complaints about anything. I would highly recommend this property. Extra blankets, pillows, towels were provided as well as toiletries which I did not expect!